Weather permitting, Norwegian Breakaway will be emerging into the daylight on Tuesday morning. 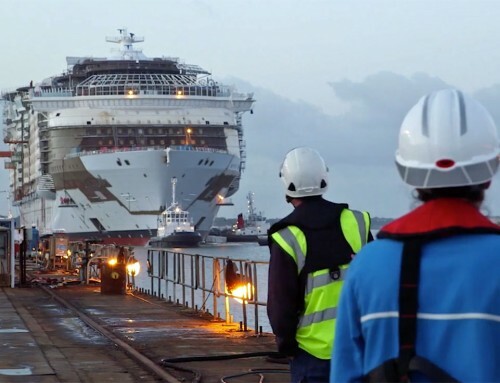 Just 17 months after construction work started at the Meyer-Werft shipyard in Papenburg, Germany, the 146,600-ton cruise ship will be towed gently out of a giant construction shed and into the river basin. After initial tests, the ship will be berthed alongside and the first members of crew will be moving into their cabins within a couple of days. 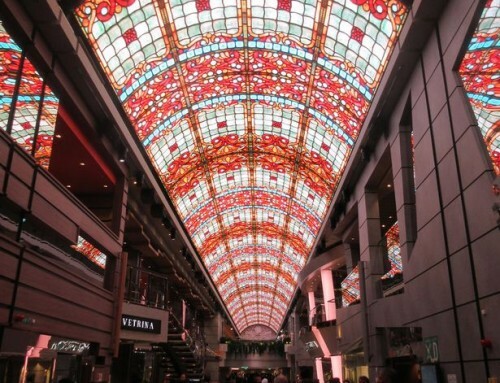 Final construction work and fitting out will continue for a few weeks, and the ship, built for 3,969 passengers, will make the journey down the River Ems to the North Sea. 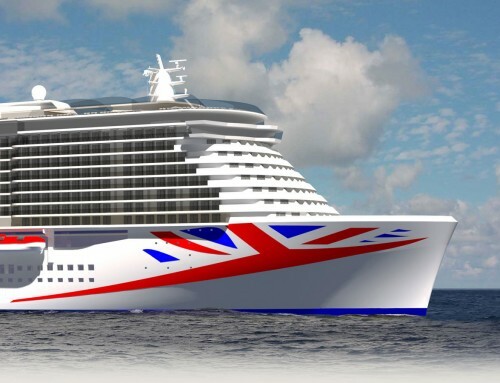 Sea trials will be carried out before the first passengers embark in Rotterdam at the end of April to travel to Southampton. The ship will then cross the Atlantic, top be named in her home port of New York on May 8. Breakaway’s float-out can be watched online on Meyer-Werft’s webcam. It is scheduled to commence at about 7.00 a.m. CET, but may be delayed by weather conditions. 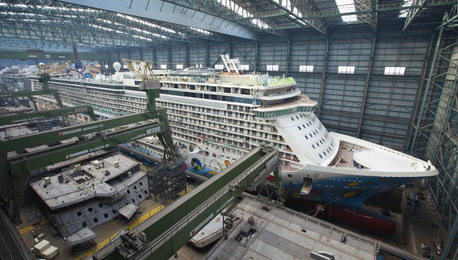 These pictures show Breakaway in the construction shed, with the first blocks of sister ship Norwegian Getaway on the hard standing.